I think I’m raising my boy right, don’t you? Sunday Conundrum…What the Hell Does This Mean? Treat this as an a self-amuse thread; one of the few genuine pleasures of the last couple of months has been watching Palin do the headless chicken, as she continues to strut, unaware that she’s well down Glenn Beck’s path, amirite? So just give your babblefish a workout in an attempt to translate Palinese into coherence. 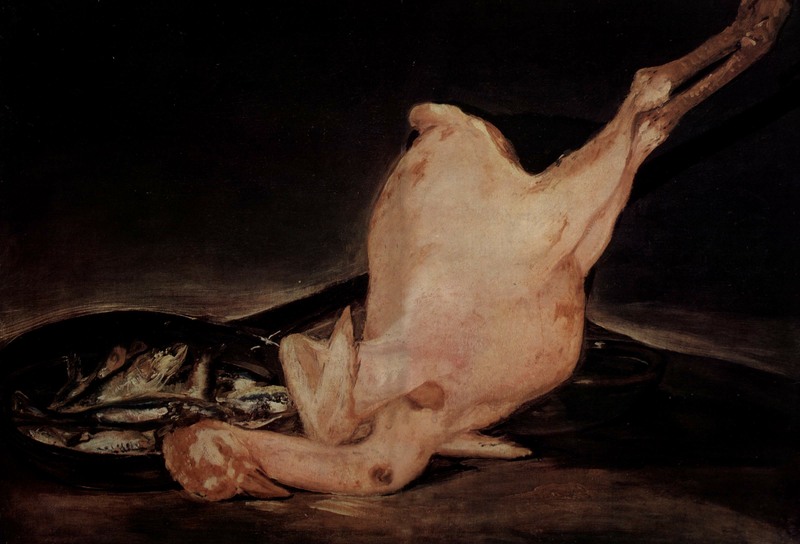 Image: Francisco de Goya, Still Life with Chicken and a Pan of Fish, 1808-1812. Via @BoraZ I find an interesting approach to celebrating the natural facts at the heart of this year’s physics Nobel honor. All this by way of apologizing for the comm silence around here. My visiting committee is showing up in ten days, and I got to get busy. See. I still love you.